A good quality LEDs grow light is a must investment for a 4×4 tent. You have made a great effort to grow plants indoor with an efficient control system through a grow tent. But to yield higher from their indoor garden, you need to have proper light setup for your plants. Every grower knows the importance of light in the growing cycle of plants (veg, bloom, flowering). So, choosing the best grow light setup for your grow tent is very crucial. Here we will review the grow lights that have enough lumen/PAR to cover your 4×4 tent. The 4×4 tent is a great size as it’s not too big or small. The lights that can be used in a tent this size vary dramatically. You can use almost any fixture from traditional single-ended fixtures, LED lighting, or Ceramic Metal Halide. The only fixtures that might be avoided are double ended fixtures but that has more to do with height restrictions. 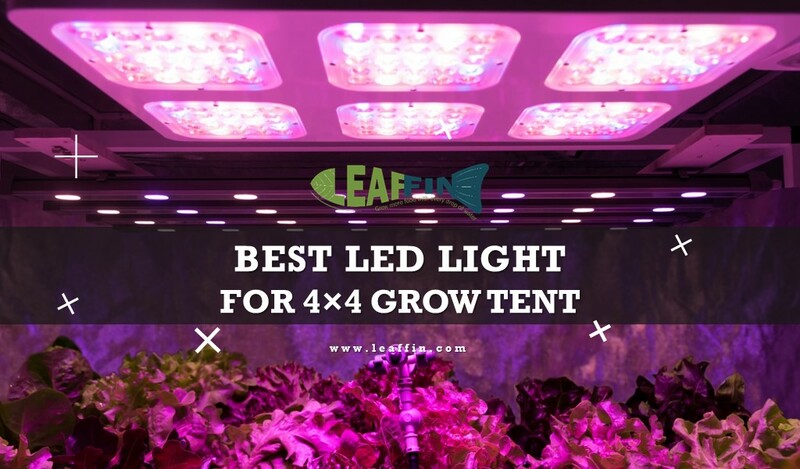 Since LED lights are usually preferred for grow tents, we will only discuss best LED grow lights in the market for your tent. For a 4×4 tent, you should have a grow light having an actual wattage range of 500-600 watts (assuming flowering plants which require a lot of light and are congregated in a single area. Vegetative growth for high-light plants need about half this wattage). Many growers are also using a combination of 4 LED grow lights of 300w or 2 lights of 600w for their 4×4 tent. A 1000-watt rated LED light usually replaces 1000 watts HPS while consuming only around 500-wattage of electricity. The following table features top LED grow Lights that you can use single-handedly. Compare these lights for 4×4 grow tent on the basis of power, no. of fans, dimensions, weight, and other features. All products in the table have 3 years manufacturer warranty and have a lifespan of 100,000 hours except HIGROW 1000W which has 50,000 hrs. With 527W of actual wattage, You will get about 33 watts per square feet which is great for flowering medical or other large flowering plants. You will surely get something you can proud of with this unit if you have optimized all other variables correctly e.g. humidity, temp, watering, air circulation, and fertilizer. It has a separate Veg and Bloom dimmer. You can change the spectrum using knobs through the plants’ growth cycle and also save on the electricity bill. It comes equipped with FIVE cooling fans and all the good quality hanging hardware you need. It almost makes no heat at all and is stealthily quiet too. Most favorite light of 4×4 grows tent owners! With 524 watts of actual consumption, it counts to almost 33 watts per sqft which is considered as a rule of thumb for flowering plants. Moreover, it has square dimensions which makes it capable to spread light in canopy equally. It has veg/bloom switches, Not dimmers like Viparspectra PAR1200. The good news is that the price of this LED light totally reflects the missing functions so you can give love to your plants with minimal burden on your wallet at the same time. The light has 4 high-speed fans and aluminum heat sinks to expel the heat it generates. Like most LEDs, it generates far lower heat than any traditional MH/HPS hoods. This gives you a better control over the temperature zones. 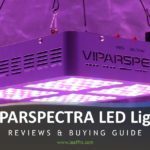 Cheapest among the best LEDs for your grow tent! It consumes only 185w, which makes a wattage of 11.5 watts per square foot. This light is very suitable If you are growing low light plants, such as herbs and lettuces. You may end up disappointed if you grow flowering plants under it. If you don’t want small, light, and fluffy buds, Go for Viparspectra having more actual wattage and spectrum. Although it has only two fans, the light is sturdily built and well designed with openings in the glass to let air pass through. It’s lightest in weight as well. A median choice between wattage and budget! while consuming 400W, it yields about 25 watts per square foot. It is a good win-win situation for your budget and wattage. Definitely, a good choice for flowering plants. For lightning your 4×4 ft tent, you can either use a single higher watt grow light or use multiple lights. Growing with multiple lights gives you more flexibility, perpetual (or staggered) harvests, side-by-side comparisons, and electricity saving. So, we recommend you to invest in multiple Led grow lights rather than a single bigger LED. 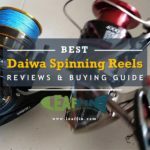 If you’re a beginner, you will get time to research. If you have cut down your grow area, You can turn off a Light to save energy cost. You can use a combination of 4 LED grow lights of 300w or 2 lights of 600w for their 4×4 tent. Advanced Platinum manufactures very high quality grow lights and offer 5 yrs warranty on the products. You can expect to invest for the next 9-10 years by buying the advanced platinum grow lights. The only LED having the widest spectrum most suitable for plants. Be careful regarding the height at which you hang the light above the plants. originally stunted and slightly burnt them. If you notice too much space between the sucker leaves or stretch between the nodes, then lower the LED light a bit and go from there until you find the optimal height to keep your plants healthy. Aerogarden Review 2019: Are These Indoor Gardens Kits Worth Buying?